I'm Canadian- you did know that, right? I have quite a few more American readers than Canadian, so I just thought I'd put that out there. Now, I'm not much of a maple syrup fan, or anything maple flavoured actually, and I don't think I've ever naturally uttered 'eh', but I am very much Canadian. As such a human, I love being able to feature Canadian brands, especially the lesser known, because you can usually find some amazing products when you look past the well known names. 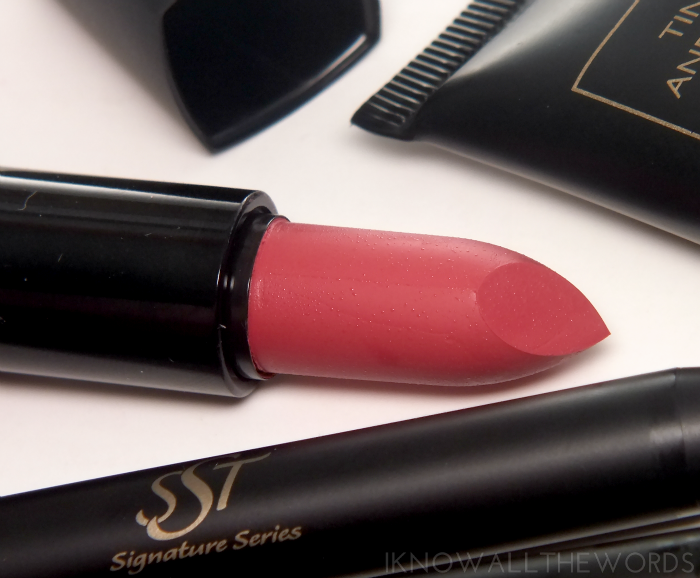 One such brand is SST Cosmetics, from Saskatoon, Saskatchewan. 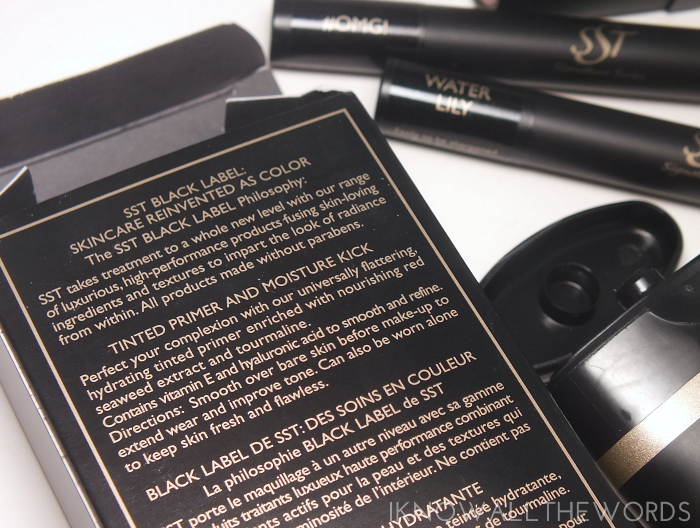 The mineral based brand is popular in Western Canada and is a favourite among professional makeup artists. I can totally see why. Read on for a closer look! 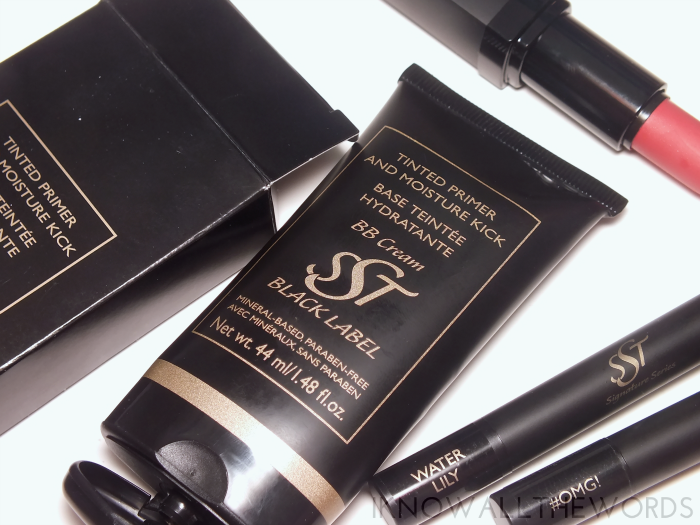 The SST Cosmetics family of products is divided into two ranges- the Signature Series, and Black Label. I couldn't find much info as to what the difference between the two is, but the first product on the roster today is SST Black Label Tinted Primer & Moisture Kick. The product is a rich, creamy textured tinted base that functions as a three-in-one type product. It works to infuse skin with moisture in a pretty major way as it's formulated with hylauronic acid, vitamin e, nourishing red seaweed extract and tourmaline. Many tinted bases make hydrating claims and don't end up living up to them, but this does give skin a lot of hydration and for those with more normal skin would suffice as a pre-foundation moisturizer on it's own. I find the coverage to be on the lighter side, but it does build to a light-medium coverage that works well to even skin-tone, blur imperfections and conceal redness while having a really natural, skin-like finish that is really easy to wear. I don't find it needs to be powdered at all as the finish is neither matte nor dewy and stays that way for the day. I have the shade Skin Tone, which is a bit too warm and dark for me, but this is also available in Light. I can make Skin Tone work if I really blend, but is going to be better suited to those with a more medium complexion. Unfortunately there are only the two shades so if you're very light or darker than medium you're out of luck. 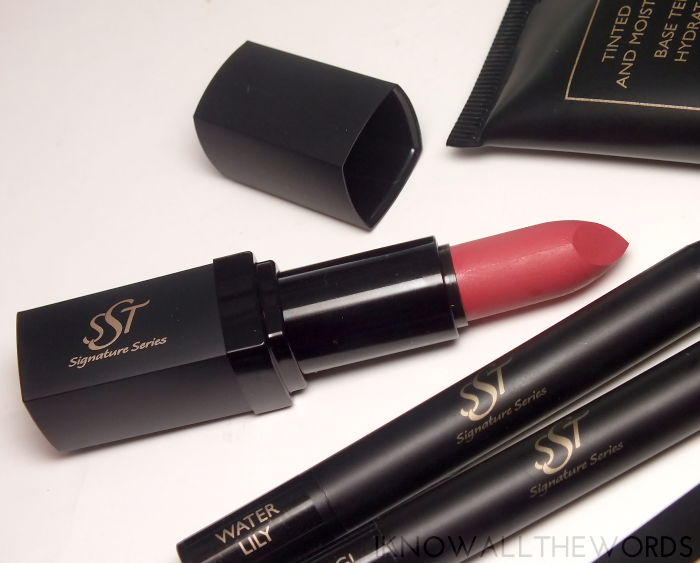 Next up, SST Signature Series Hydrating Lipstick. Formulated with grape seed oil, cocoa butter, and vitamin e, the lipstick gives lips a great wash of almost opaque colour with a balmy feel and dose of hydration. My lips have been particularly dry the past while (thanks, winter!) but this lipstick glides on so easily and I don't have to worry about scrubbing and balming well before hand. 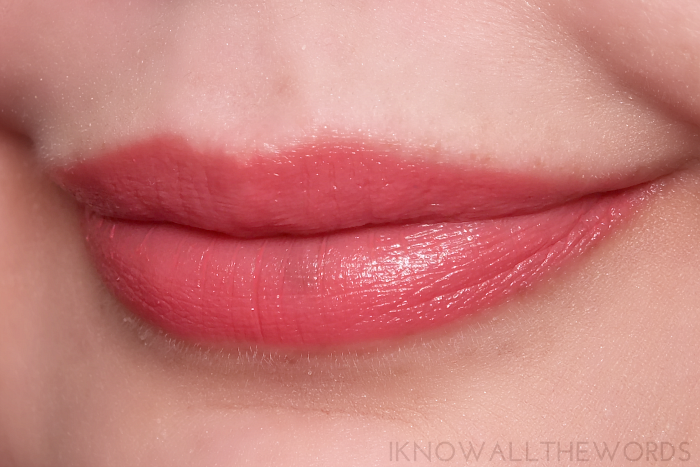 I have the shade #XOXO from the fall 2014 #FACETIME Collection, which is a more vivid take on a MLBB (my lips but better) raspberry-pink shade. I love the shade and that it wears so easily, oh, and it has a soft vanilla scent! Of course, the eyes need a little lovin', for which there is SST Signature Series Power Stay Shadow Sticks. 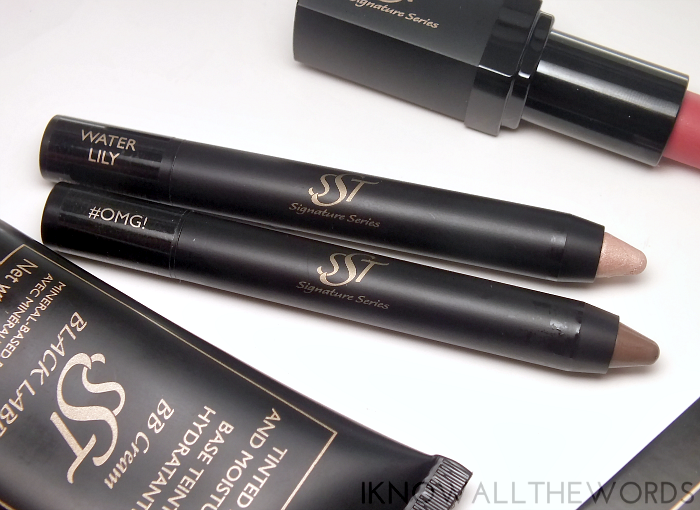 The water proof pencils are creamy and smooth with a wear all day formula. 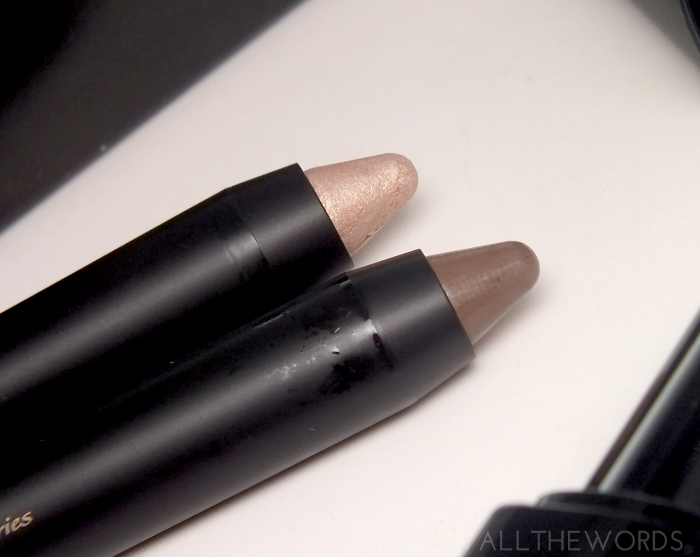 I love the ease of a shadow stick as they're fast for lazy days and make great bases for powder shadows. 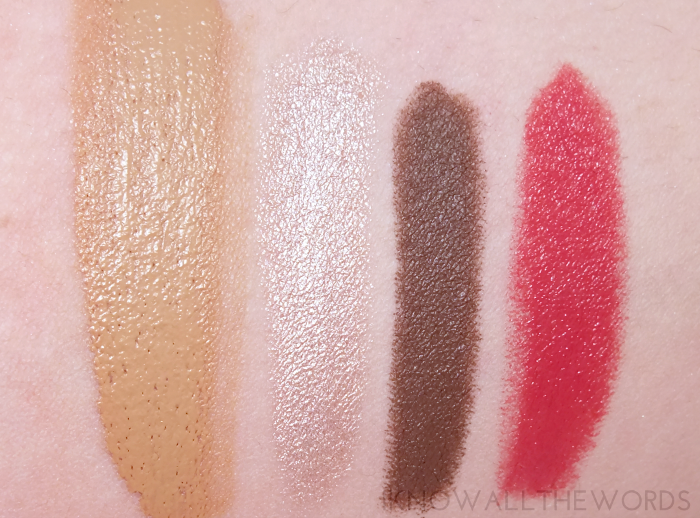 I have the shades Water Lily, a shimmering, pale champagne, and #OMG! a milk chocolate brown with a taupe lean. Both shades are very pigmented and apply and blend with ease- either with a finger or brush, although a finger does the trick well. While these do wear quite well all day on their own, I find Water Lily did crease on me just a bit through the crease if I don't use a primer, but really, who doesn't use one anyway? They only slight downside is that they do need to be sharpened and are housed in a plastic-y tube. I always feel odd about sharpening pencils like that... Anyone else? 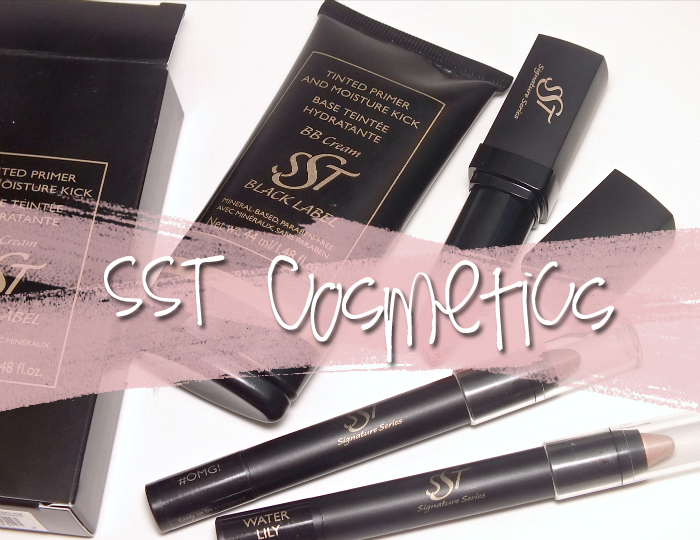 Overall, I'm really happy with the products I've tried from SST! I should add that all SST products are talc free, boron nitride free, parabn free, gluten free and not tested on animals. The brand is currently available in salons across Canada and direct from their website (here). Have you heard of the brand, tried it, or interested in trying it? Do you have any favourite Canadian brands?